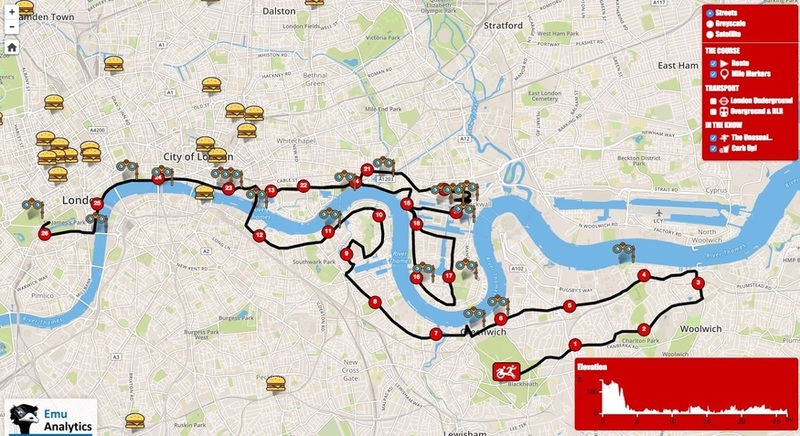 Take a tour of the London Marathon route, with this fabulous map put together by Emu Analytics. Drag the icon of the runner and wheelchair racer along the route to see what pubs and toilets are nearby; that second one of these is especially important if you don't want to pull a Paula Radcliffe. It will also give you some pacing advice, depending on what speed category you class yourself in. In the top right hand corner you can toggle on some of the more unusual sights along the route as decided upon by us. These will come in handy keeping your mind off the agony around mile 14. One of our favourite unusual views along the route. 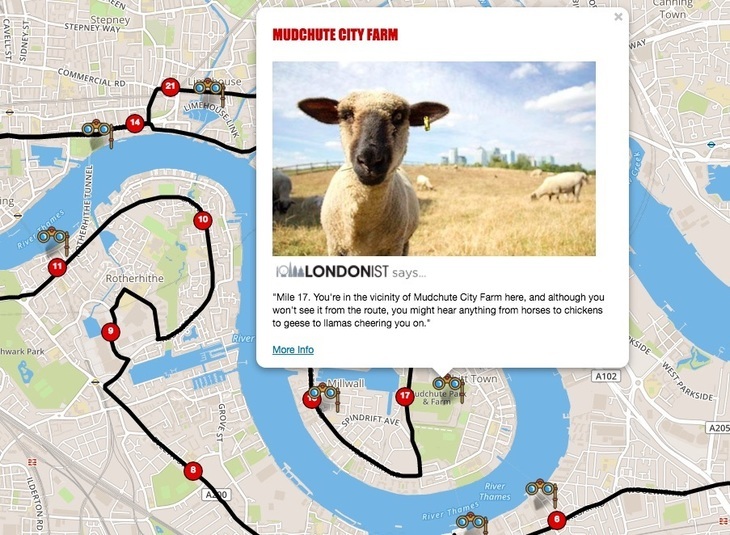 There's also an opportunity to use the map to find some of London's best carb loading spots in the run up to the race. These will provide you with the energy that drives you across the finish line in a personal best time. Or maybe you just really like carbs and aren't even running. As a little Easter egg, click on the Cutty Sark for a special surprise (arrgh matey). Keep up to date with the creators' great work on Twitter @emu_info.